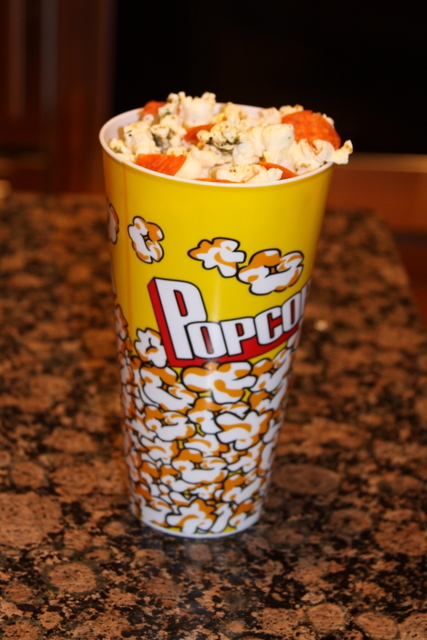 This is going to be my son's after school snack today. No real measurement here sorry. 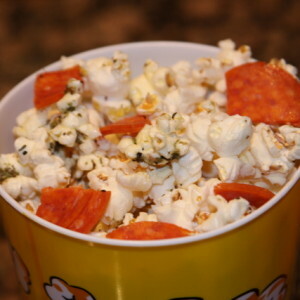 Amber shared her fun popcorn popper mine is not nearly as fun or cute but gets the job done and is easy to clean. 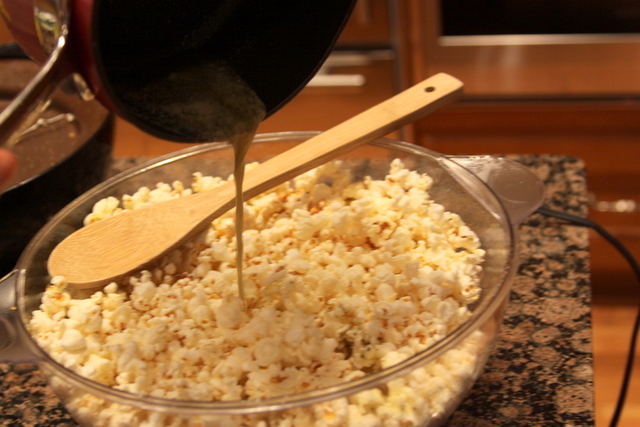 After pop corn is popped melt butter and add Italian seasoning and house seasoning. 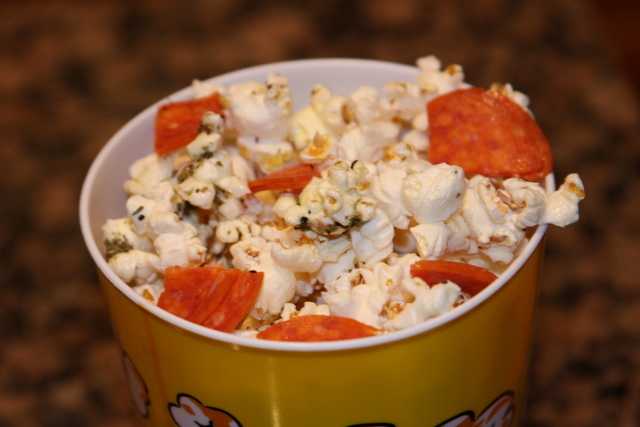 Then pour over your popcorn and mix. 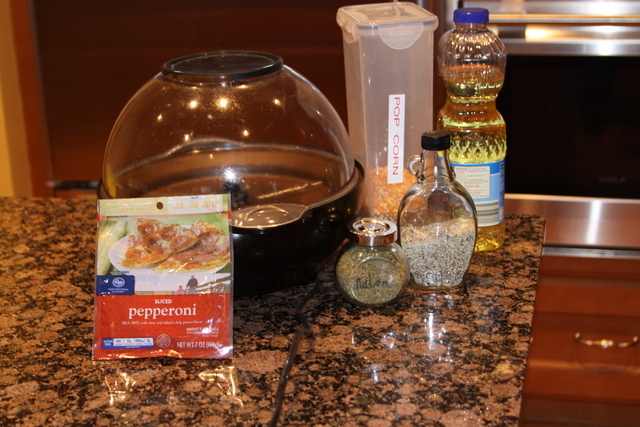 Then add the cut pepperoni and ENJOY!